I have a friend who has a bunch of beautiful woven wraps, and loves to share the love. 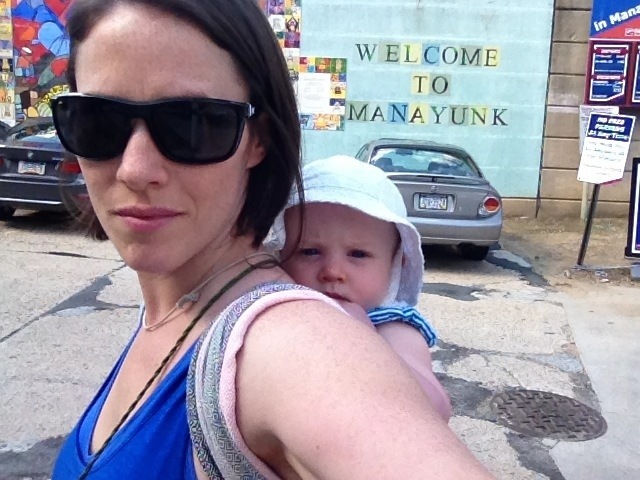 This photo was taken a few blocks from our house in the Manayunk neighborhood of Philadelphia. If you’re from the area, you know exactly where this was taken!